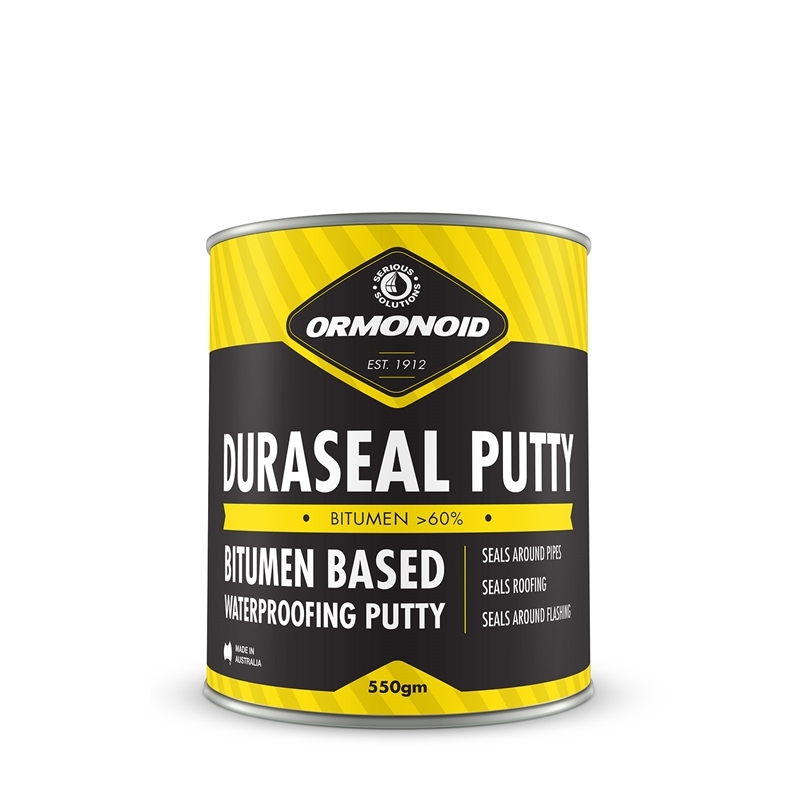 Duraseal Putty is a thick bitumen putty reinforced with tough inert fibres to produce superior strength. 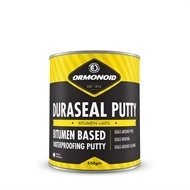 Duraseal Putty has a thick consistency, and dries to form a thick waterproof surface. Ideal for repairing cracks and holes in most types of roofing material, guttering, downpipes, flashings, valleys and water tanks. Designed be used in conjunction with Ormonoid Brushable Waterproofer for waterproofing.